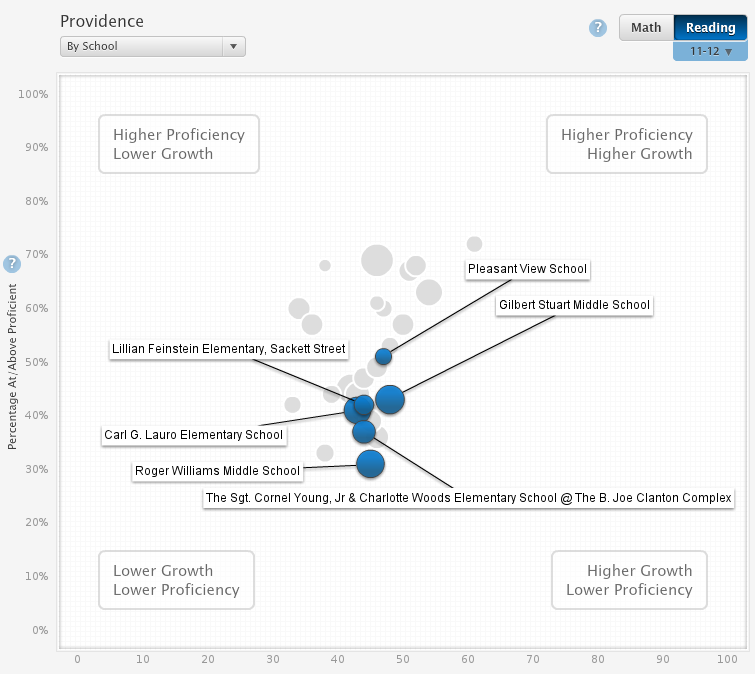 Tuttle SVC: How Are Those SIG Schools Doing? Well, all the "persistently low performing" elementary and middle schools that received SIG-funded interventions are clocking in under 50 for mean student growth percentile in reading, so, I guess not so good? At least according to RIDE's favorite metric. 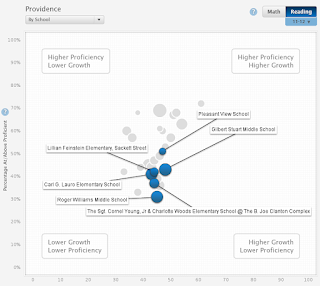 Pleasant View and Sackett Street are doing a bit better in math, at least. Also, I have seen measurable improvement in my ollie technique after practicing the last three days in the Sackett Street school parking lot. percentiles between 35 to 65." Vast majority of schools in that 35th to 65th range. I'm not saying they're doing badly in absolute terms (or really trying to rag on them much at all, I don't put too much stock in these numbers), but it seems to me that by definition a successful turnaround would have to show above average growth just to "catch up." Yeah but do you have a validated and stable measure of your ollies?